13 LISTS Black PantherLists about the Marvel superhero known by day as T'Challa, King of Wakanda. Information about Black Panther was characteristically guarded leading up to its release. But the movie's out now, and we have learned a whole lot while simultaneously having our minds blown. Behind-the-scenes glimpses at Black Panther have been particularly illuminating, as the creators have discussed in great detail their process for the development of the film. Their strong focus on culture, for example, makes the portrait of Wakanda even more vivid than what we saw in the picture. Of course, the nerds among us wanted to find out how true the characters of the film would be to their comic book origins; mercifully, we now know. The Black Panther himself (played by Chadwick Boseman) has a long, rich history that is a long time coming to the big screen, but his appearance in Captain America: Civil War was just a taste - his first solo outing is one hell of a meal. This seminal movie proved its desert as one of the most anticipated movies of 2018. Here's everything to know about Black Panther. There are spoilers the size of Killmonger's ego ahead. In early April 2018, Black Panther hit a huge benchmark: it knocked Titanic out of its spot as the third-highest grossing film of all time (unadjusted for inflation). Black Panther earned more than $665 million at the domestic box office, which pushed Titanic and its $659 million gross into fourth place. As of April 2018, Star Wars: The Force Awakens ($937 million) and Avatar ($760 million) were still sitting pretty at #1 and #2, respectively. Not only was Black Panther voted 2018's most anticipated comic book character to come to the big screen, but it was the second most anticipated movie period, behind Avengers: Infinity War, according to Fandango. In a normal year, Black Panther would likely be seated securely at the top of this list, but the biggest MCU crossover yet has understandably moved T'Challa down a spot. To be clear, this isn't a list of the most anticipated comic book movies; it's all movies in 2018. Third on the list is Jurassic World: Fallen Kingdom. That's how excited people are about Black Panther. There are nine comic book movies slated to grace the big screen in 2018, many of which showcase new characters or at least returning characters in their first standalone feature. A Fandango poll shows that above all others, T'Challa, King of Wakanda, was voted the single most anticipated comic book character in this category, with Jason Momoa’s Aquaman, Tom Hardy’s Venom, Sophie Turner’s Jean Grey/Phoenix, and Evangeline Lilly’s The Wasp filling out the top five, respectively. Working with Anthony Tiffith, founder of Top Dawg Entertainment, Kendrick Lamar produced an album for the film, with tracks that are in the movie and others that are inspired by it. 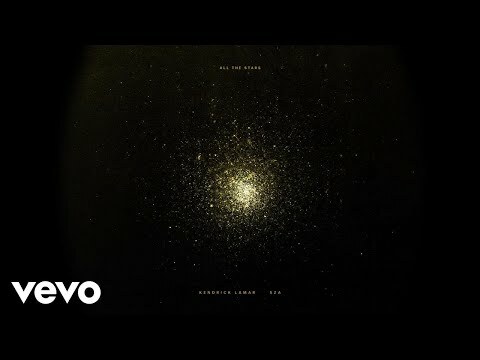 The most recognizable is probably "All the Stars," the first single to drop featuring Lamar and SZA. The song reflects the technological advancement of Wakanda as well as T'Challa's personal journey in his trying ascension to the throne. It's a new approach for the MCU that has either relied on classic rock, most notably in the Guardians of the Galaxy movies and Thor: Ragnarok, or somewhat innocuous scores.